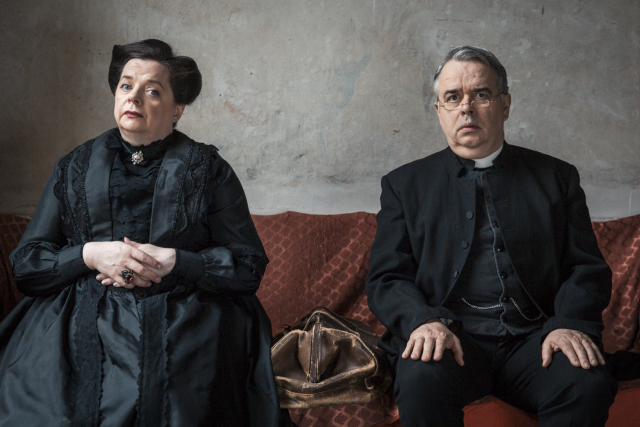 We had the chance to talk to Helen Norton about her hugely successful Fringe Show ‘To Hell In A Handbag’ – The Secret Lives of Canon Chasuble and Miss Prism. The play is written by and stars Helen along with Jonathan White. It was in the Fringe Festival in 2016 and is set to return to tour Ireland and also visit Edinburgh! Your play bears comparison with the Stoppard play ‘Rosencrantz and Guildenstern are dead’ with two minor characters given a new lease of life. With Earnest being such a popular play, are you surprised someone didn’t think of it sooner? 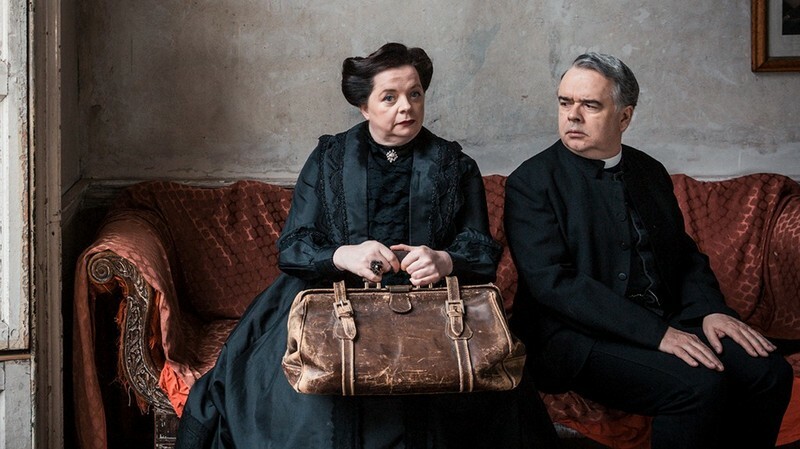 It is surprising that no one has thought of creating a play about Miss Prism and Dr Chasuble before now, in fact it’s a question we’ve been asked frequently since we unleashed To Hell in a Handbag on the unsuspecting public! We have been somewhat influenced by Tom Stoppard and his idea that one should think of ‘every exit as being an entrance somewhere else’ and we’re delighted to have thought of this particular scenario first. Have you or Jonathan ever been in the Importance of being Earnest? You seem to have written the play as a collaboration. Have you written many plays before? Is it something you’d like to do again? I have written three short plays for children based on paintings in The National Gallery of Ireland but nothing on this scale before, it’s interesting working with another person because you can bounce ideas off each other and when you read it aloud you know instantly if it’s going to work or if it’s not quite achieving your objective and needs more work. We were lucky to have come up with an idea we were both passionate about. We haven’t even thought about another one yet! Is this your first trip to the Edinburgh Festival? This is my first time in Edinburgh as a performer, I haven’t been there for many years so I’m very excited, particularly to be going with this project and to play in the iconic Assembly Rooms will be fantastic. This is a proper tour of Ireland, with the play appearing in all sorts of locations around the country. Do you enjoy touring or is it hard to be away from home for so long? We are delighted to be able to take this show to so many venues around Ireland, It can be tough to tour but I enjoy it, we have a great company and it will be lovely to play some theatres I’ve never performed in before. What do you think Wilde would make of the play? The Importance of being Earnest is one of my favourite plays and I’m not alone in that so we were acutely aware that we could be taking a huge gamble with this idea which might not pay off. I hope Wilde would enjoy our little offering and although he believed imitation to be ‘ the sincerest form of flattery that mediocrity can pay to greatness’ he might have broken into an occasional smile at the imagined antics of his beloved characters.